We love this plastic coated large washbag which is roomy enough for holding your tall 500ml bottles and tubes such as shampoo, conditioner, deodorant sprays and other large items essential when travelling. Makes an attractive addition to your bathroom shelf too. 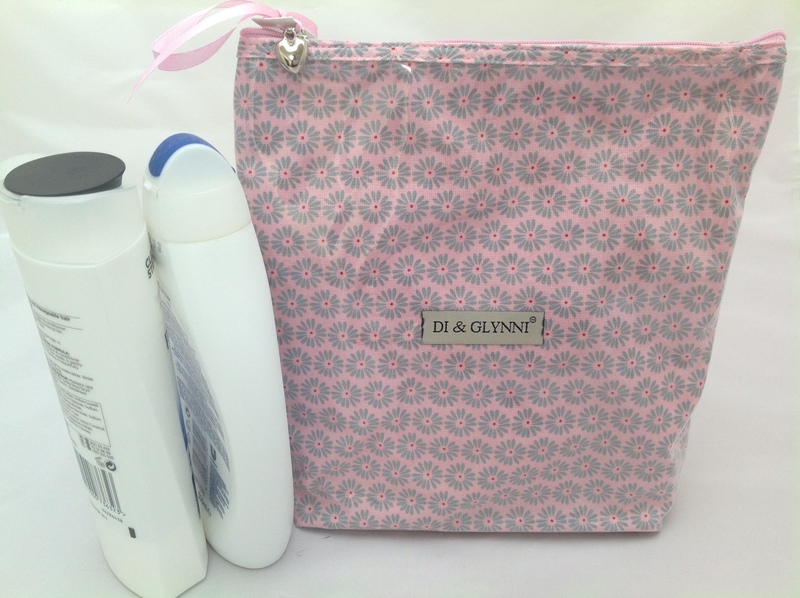 The 7cm gusset allows the bag to stand upright which is useful when space is an issue and snugly holds your toiletries upright. Plastic coated featuring fabric with a daisy motif, this toiletry bag is sturdy yet practical with a wipe clean PVC lined interior and zip fastener. Finished off with a silver heart charm and pink bow detail. Spoil your mum on Mothers Day. 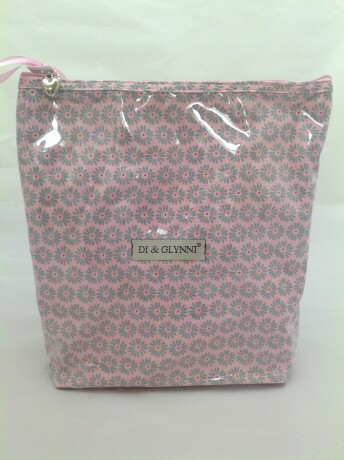 This is an ideal gift for girlie girls and an essential travelling companion for ladies who like to travel. Part of the Di&Glynni range of products from South Africa.